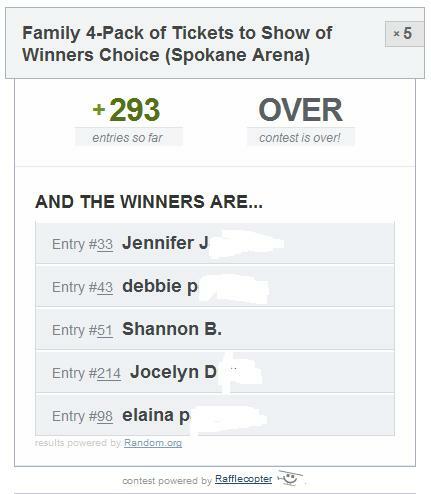 I want to thank everyone who entered my Disney on Ice: Spokane Arena Giveaway - 5 Winners. 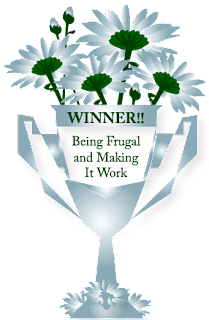 I would also like to thank the giveaway sponsor for providing this great giveaway for my readers. CONGRATULATIONS, LADIES! I hope you all have a MAGICAL time at the show! I will be contacting each of you for the show date and time of your choice. Your tickets will be left at will call under your name and you can pick them up when you arrive for the show. 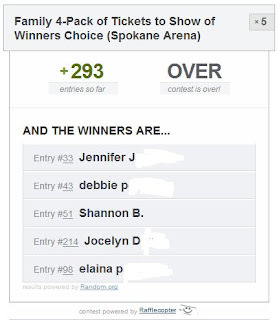 For those that didn’t win this giveaway you can use coupon code MICKEY to save $5 on tickets! Wow what a surprise. We actually got the notice we won while at Cam's birthday party. Thanks so much! !